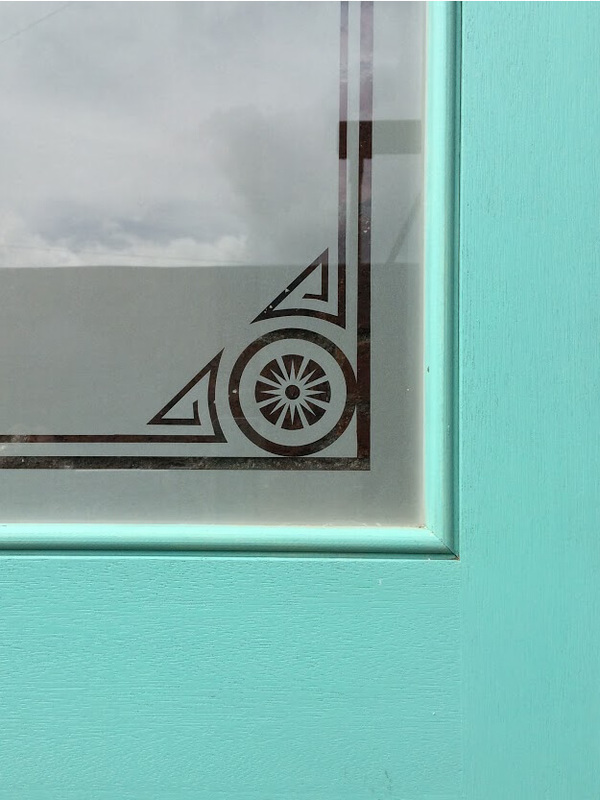 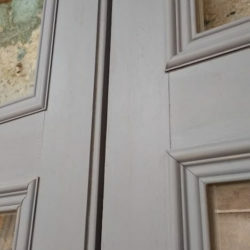 We firmly believe in restoring something rather than replacing it where possible. 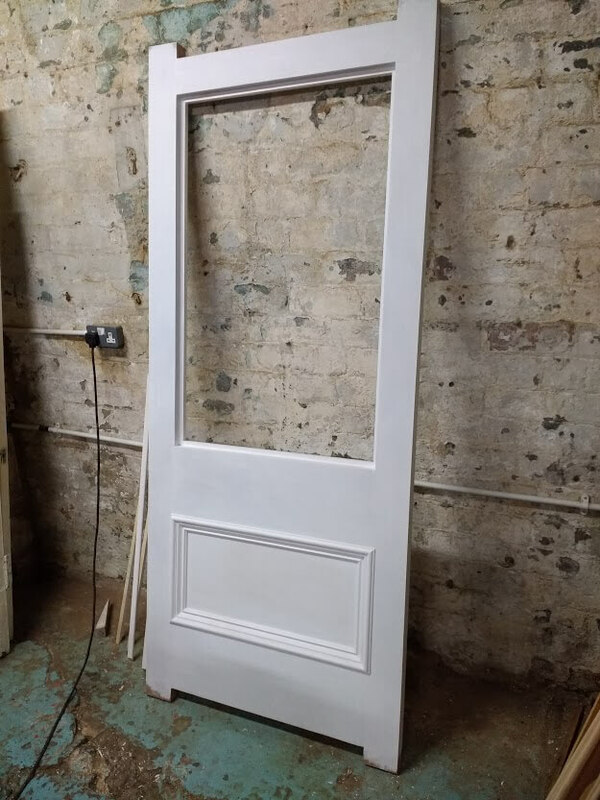 This is why we offer a door restoration service where we can advise you if this is possible and what repairs require to be carried out. 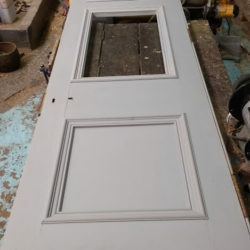 However, sometimes your original Vestibule or Storm Doors have had just too much history for this to be possible and need to be replaced . 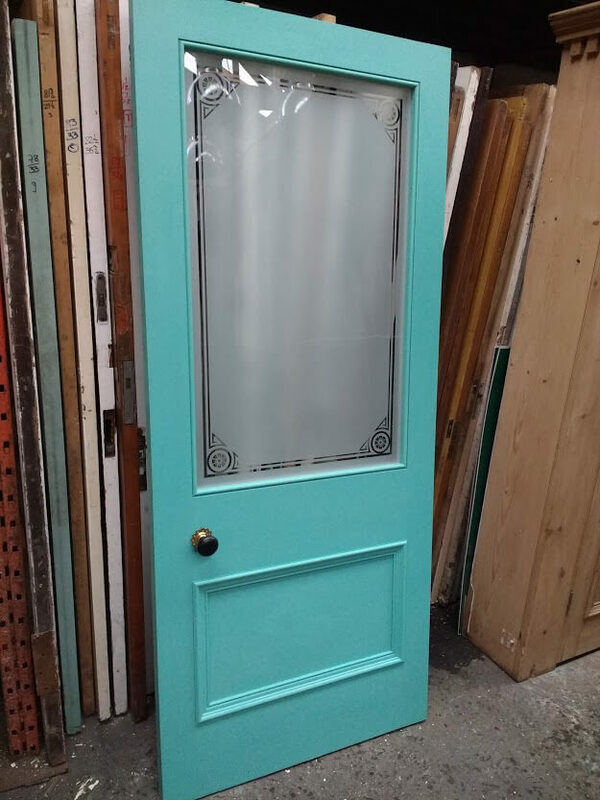 This is when our custom made traditional style Vestibule & Storm Doors may be the answer you have been looking for. 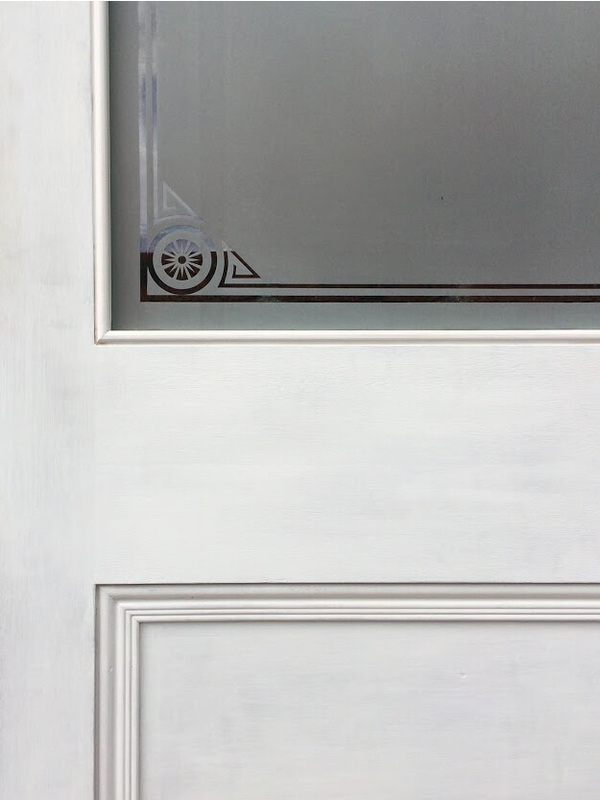 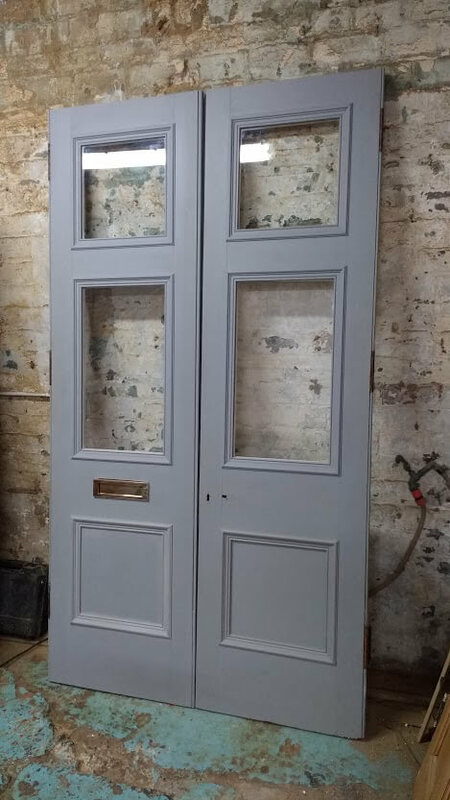 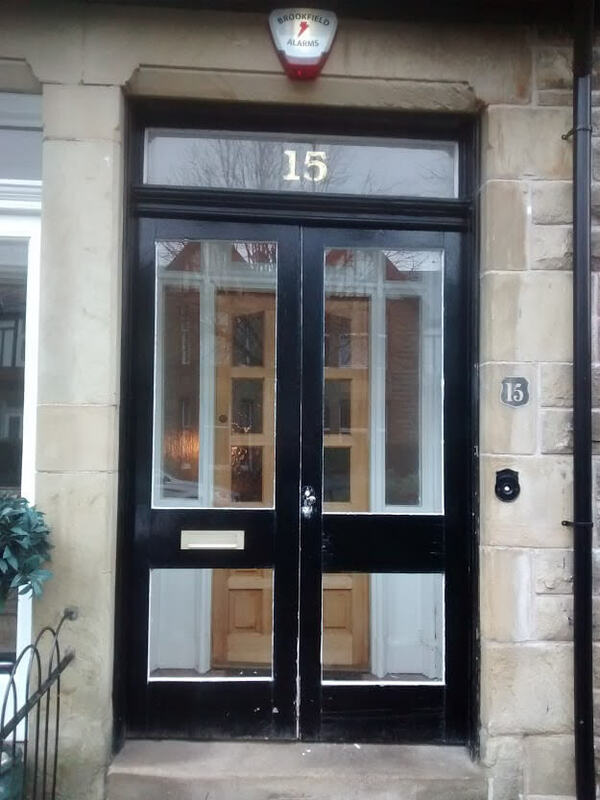 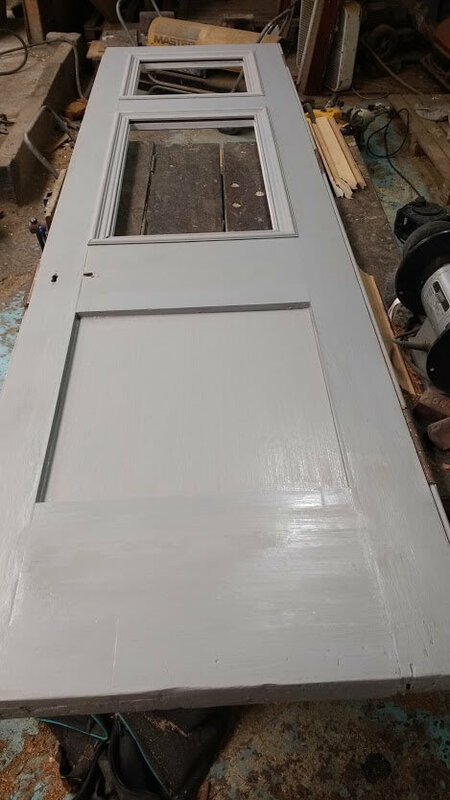 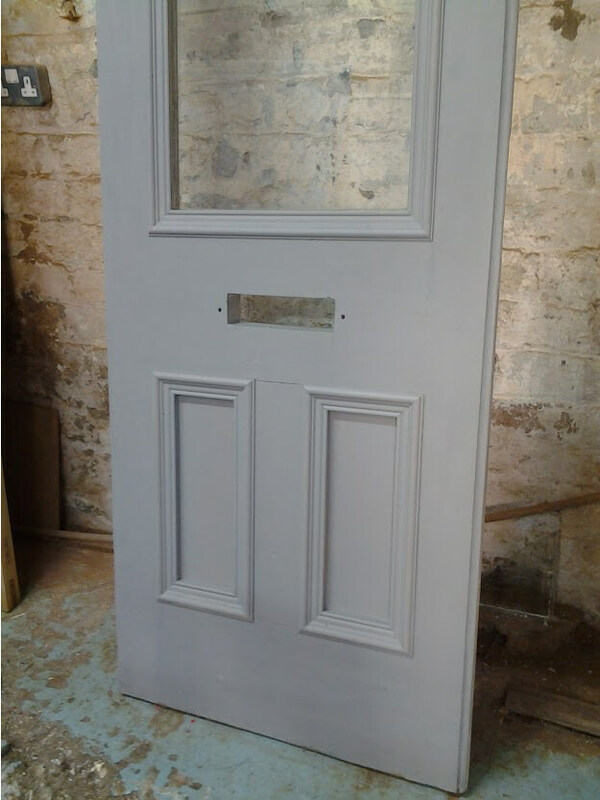 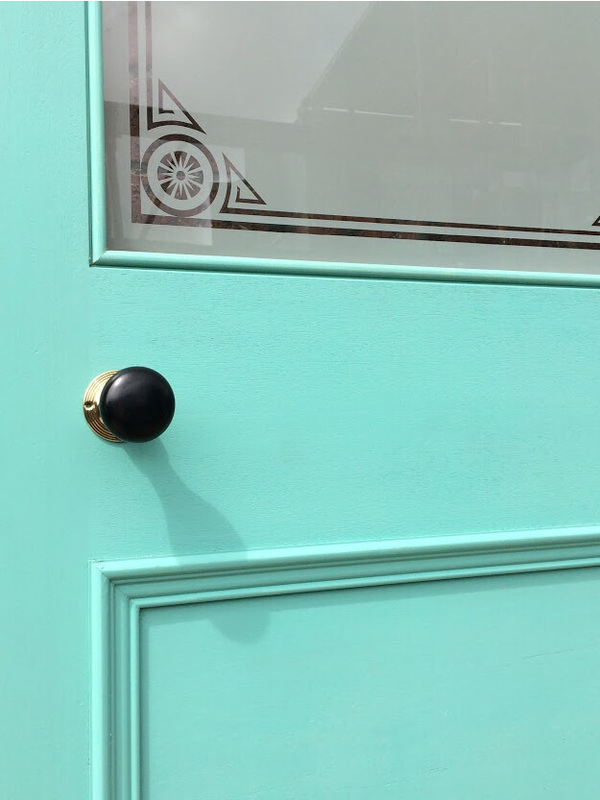 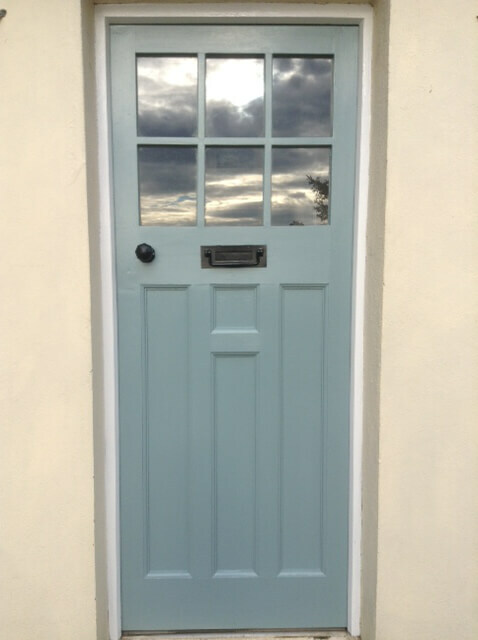 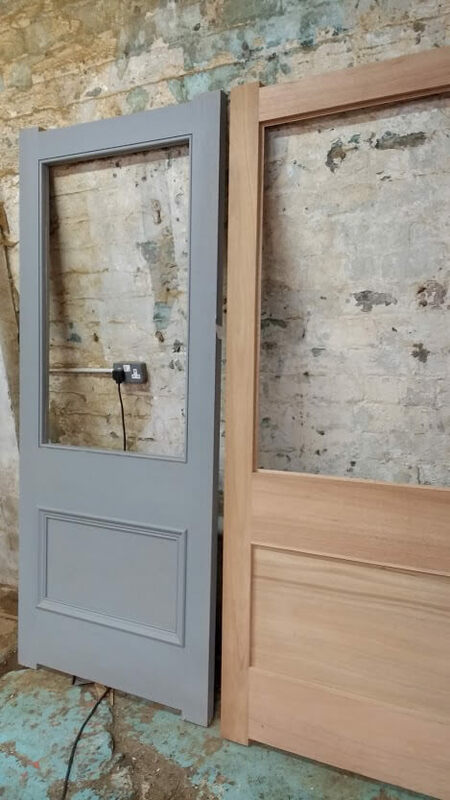 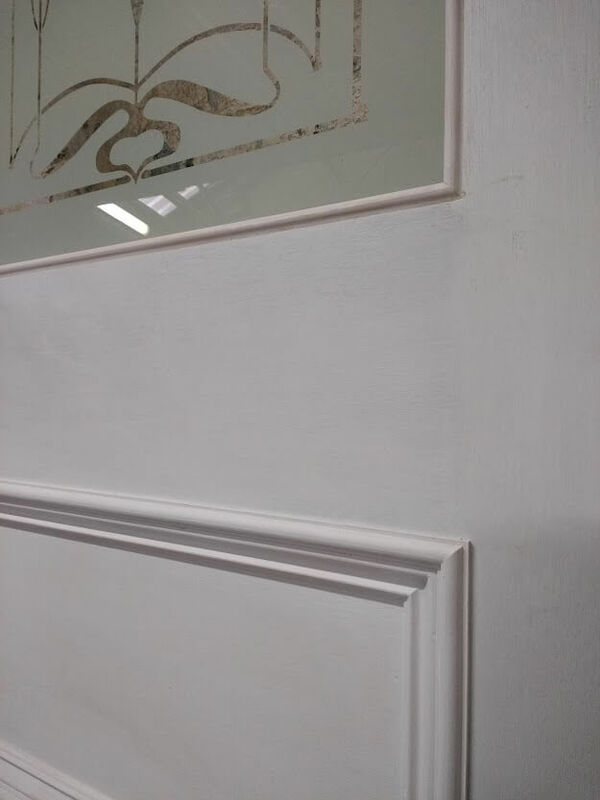 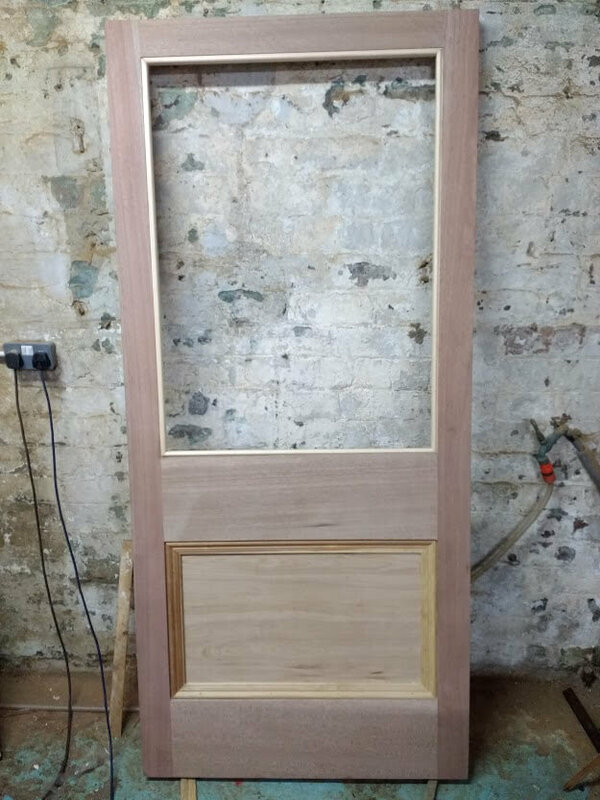 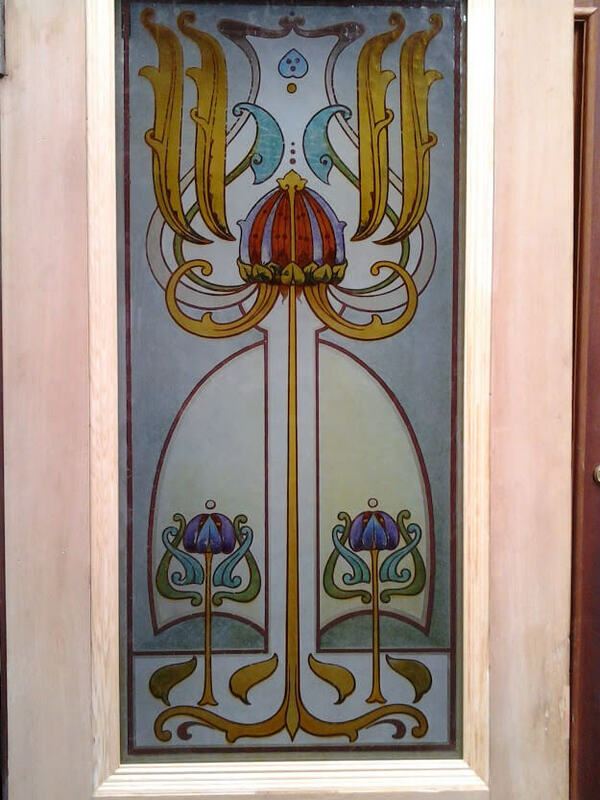 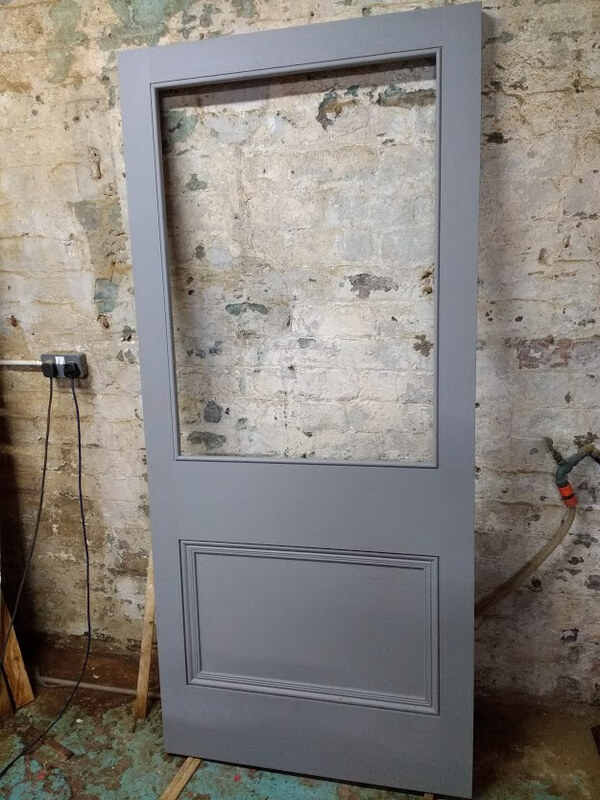 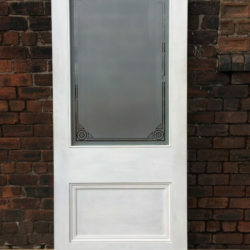 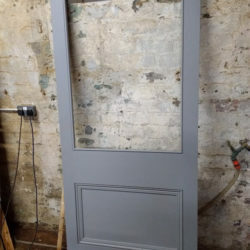 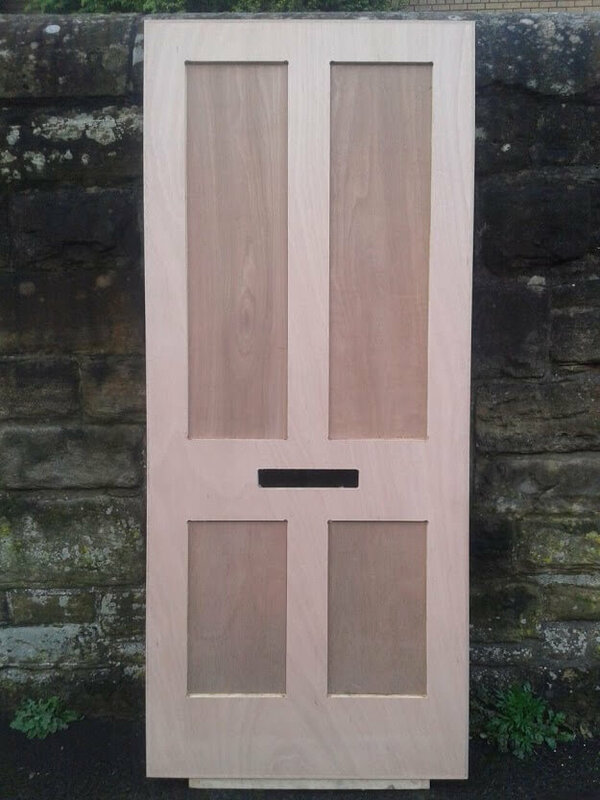 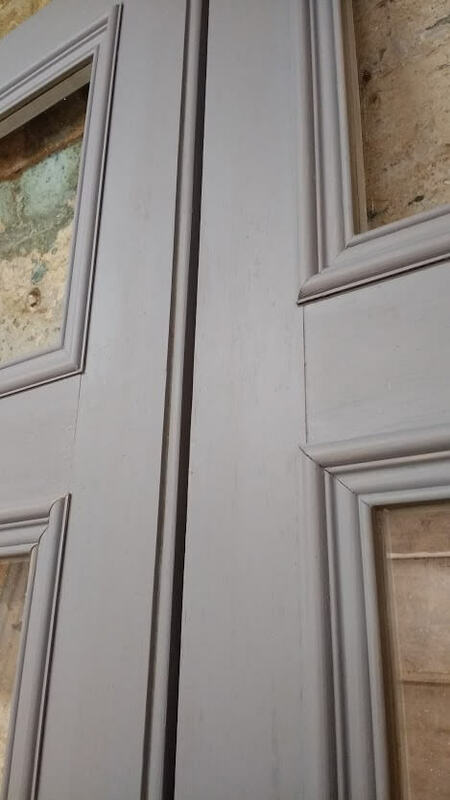 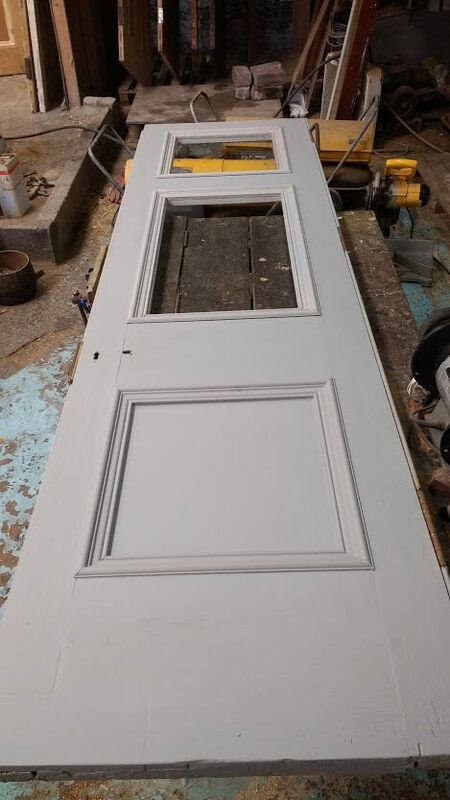 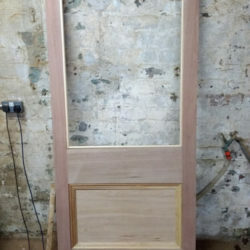 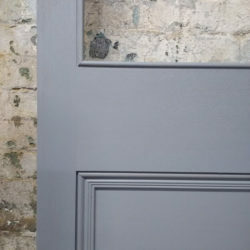 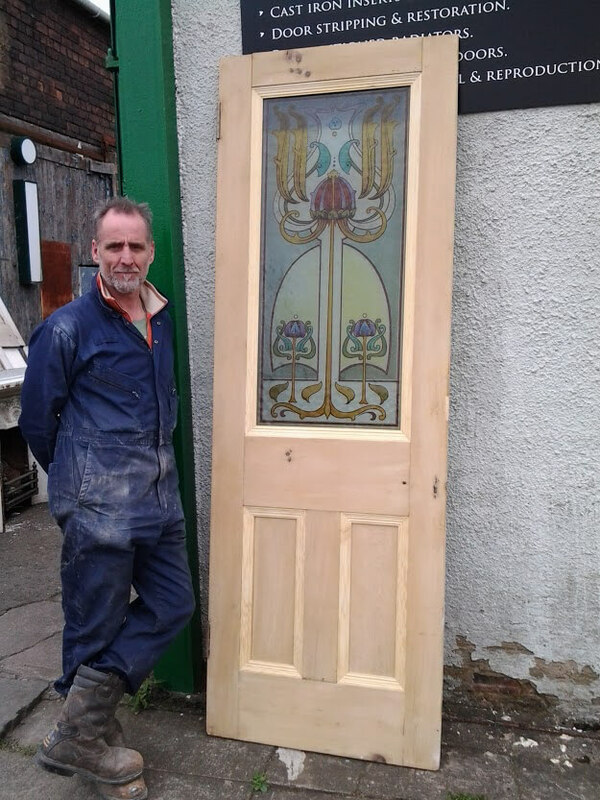 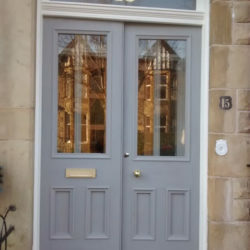 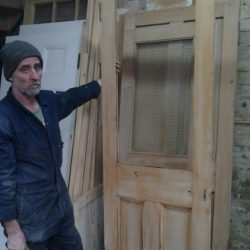 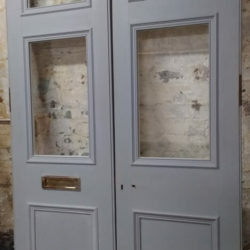 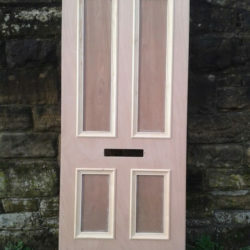 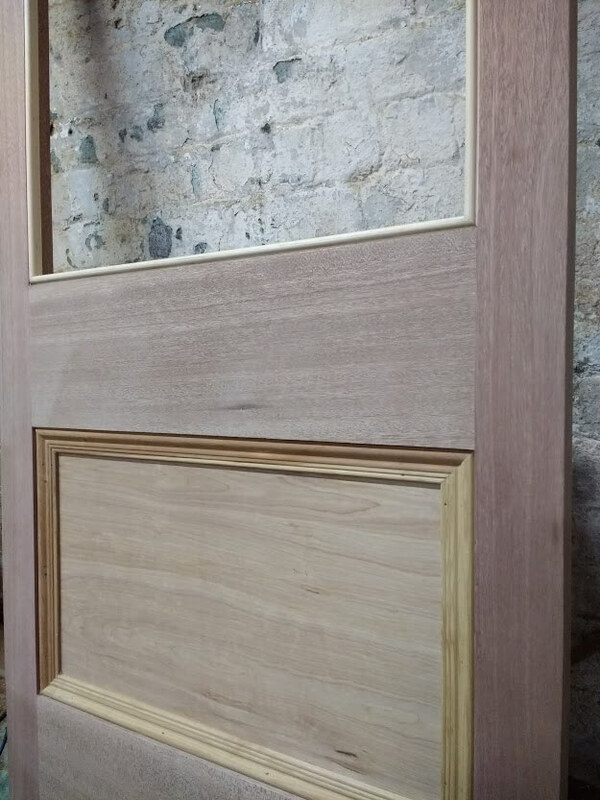 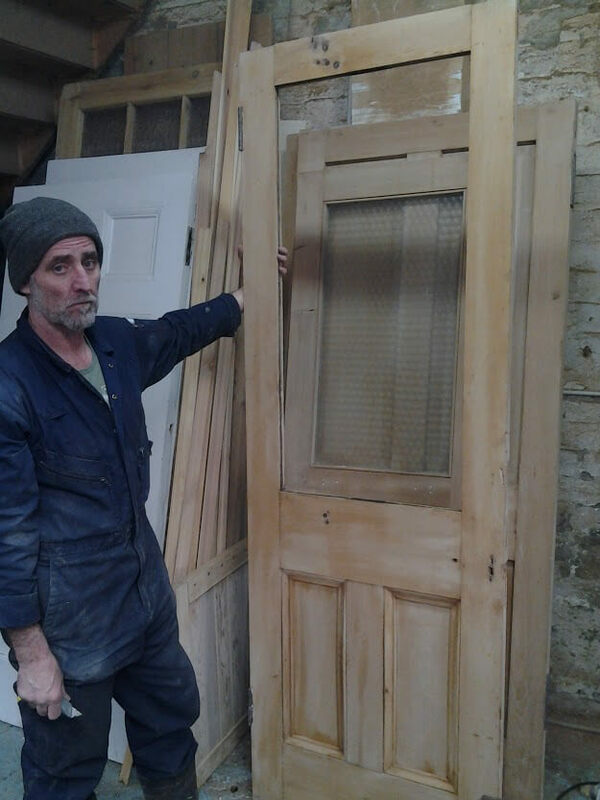 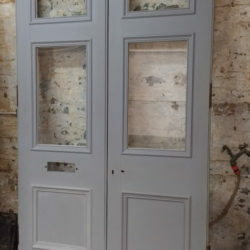 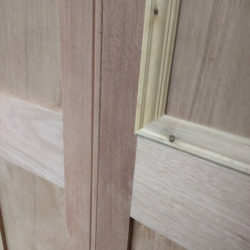 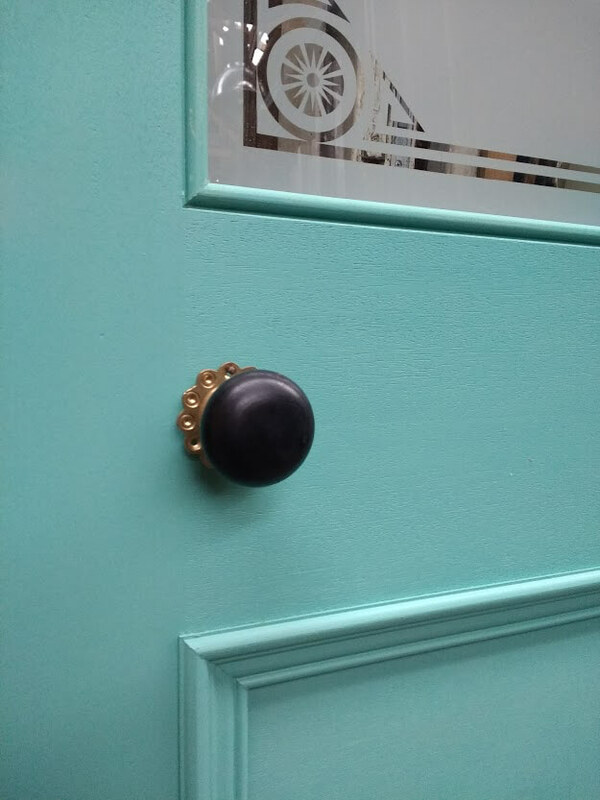 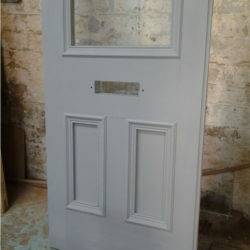 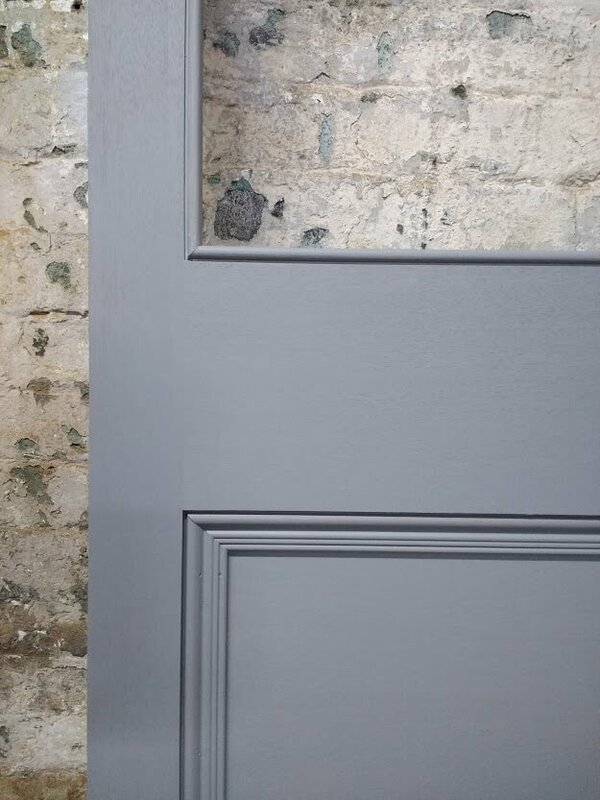 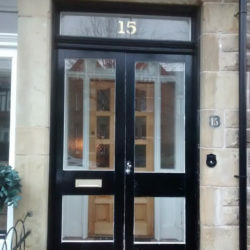 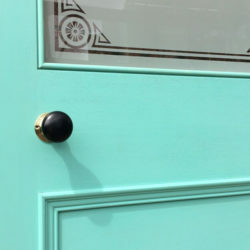 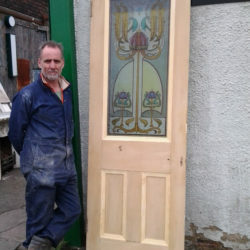 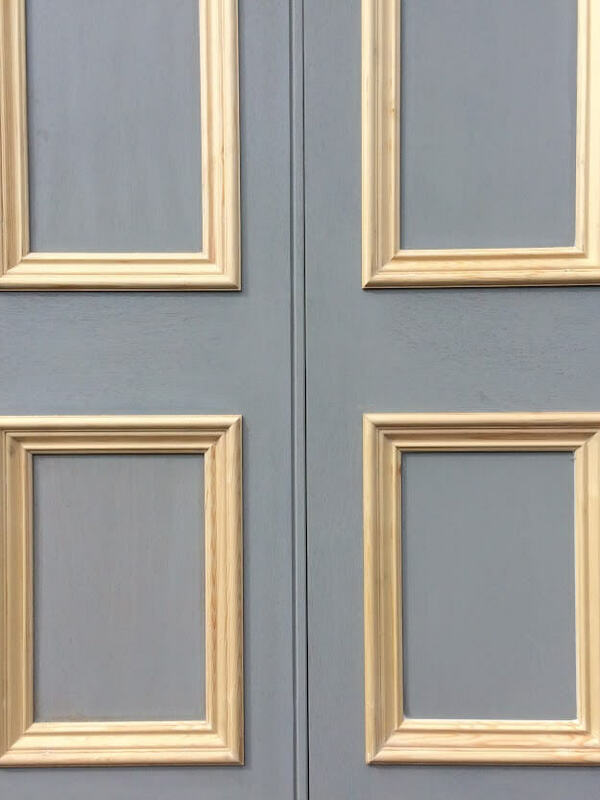 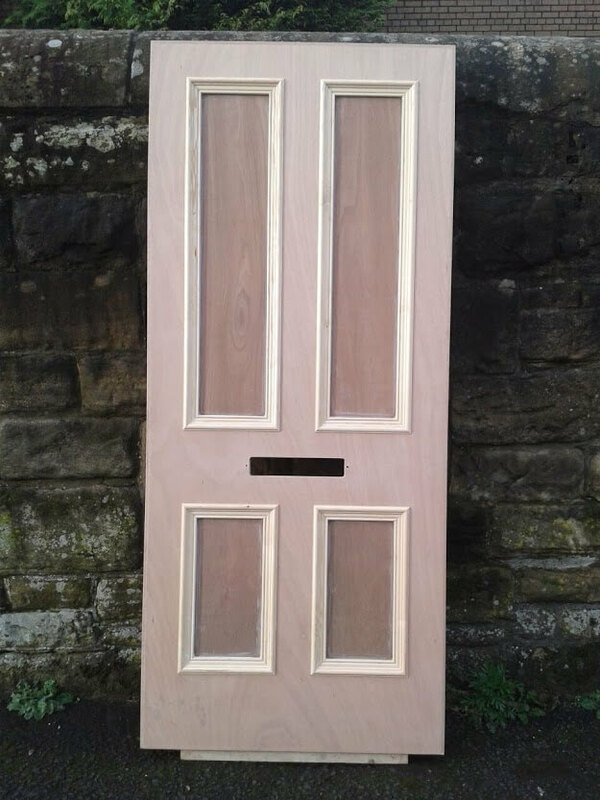 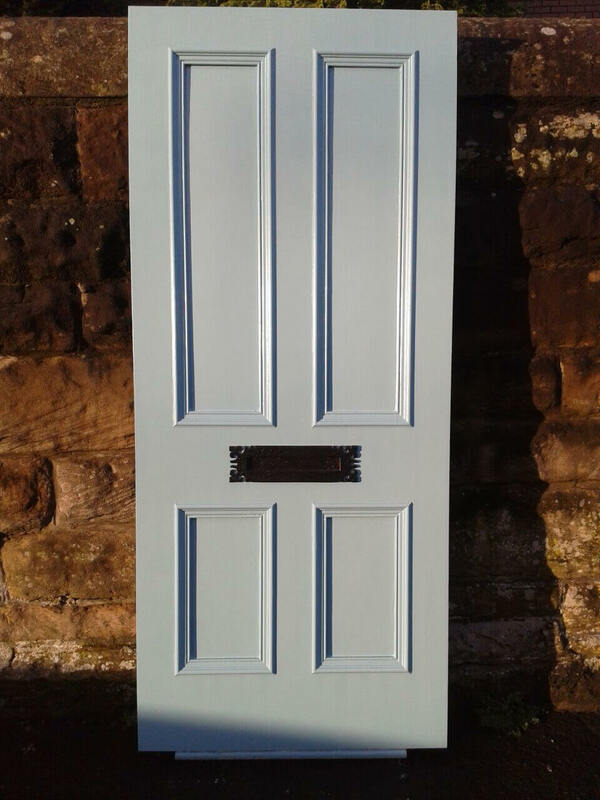 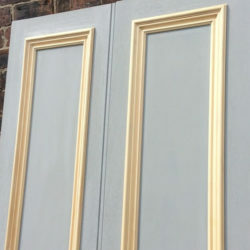 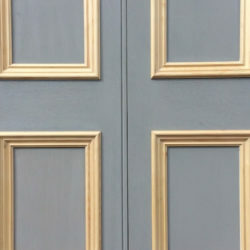 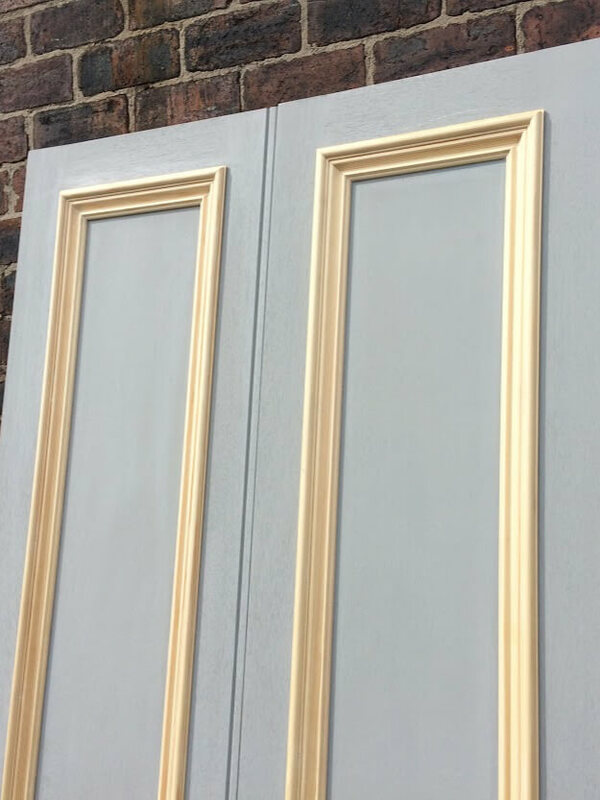 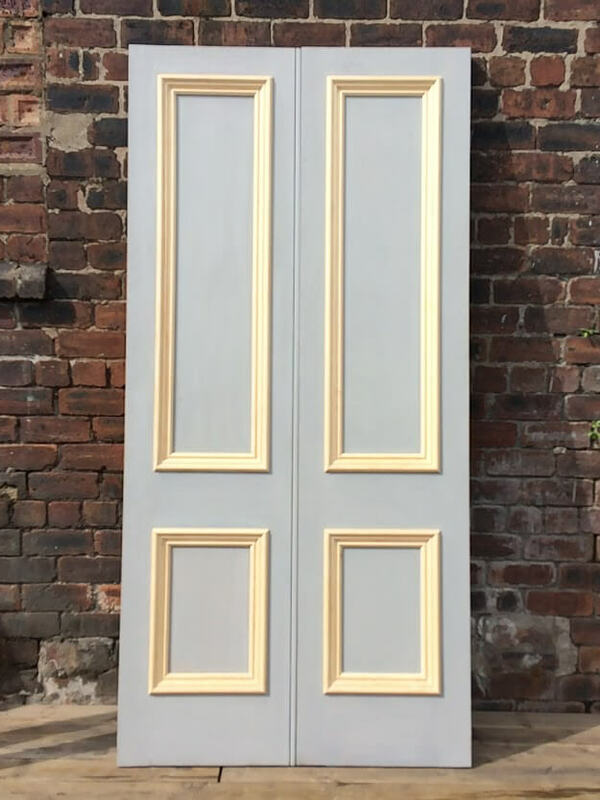 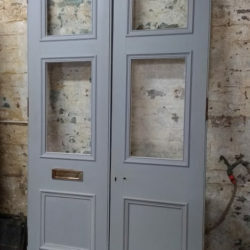 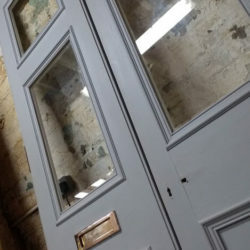 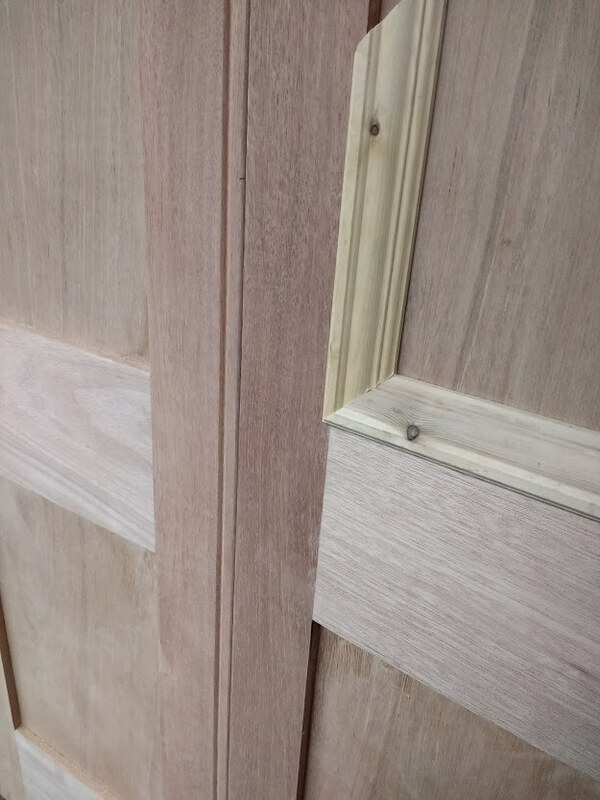 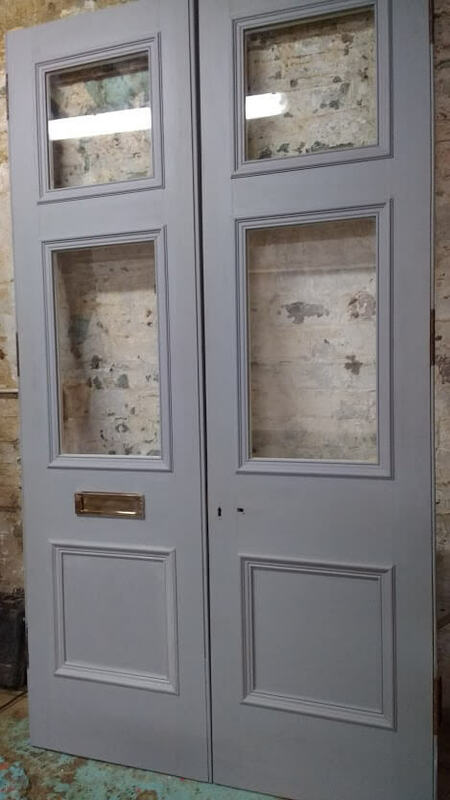 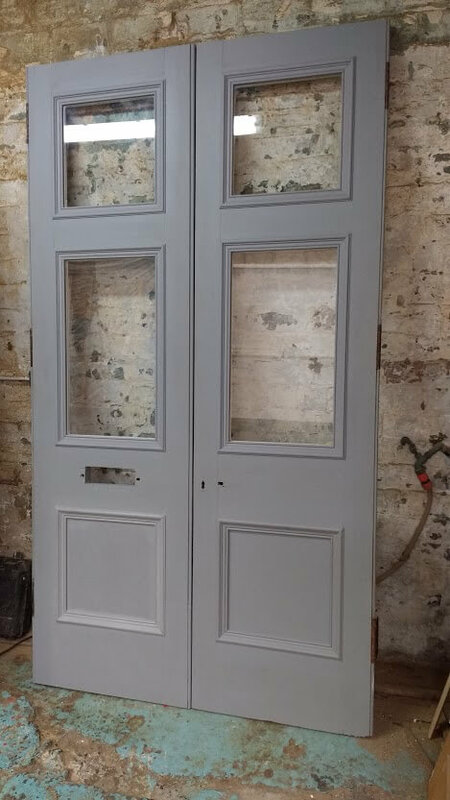 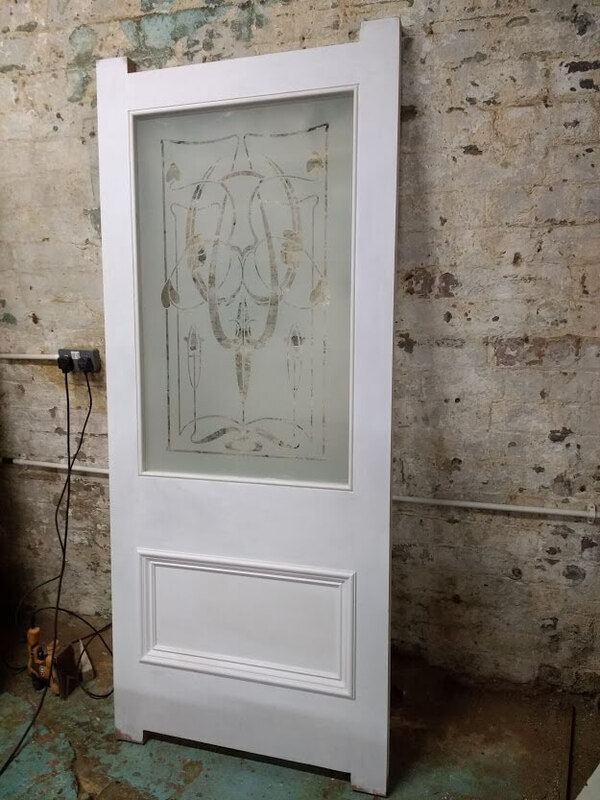 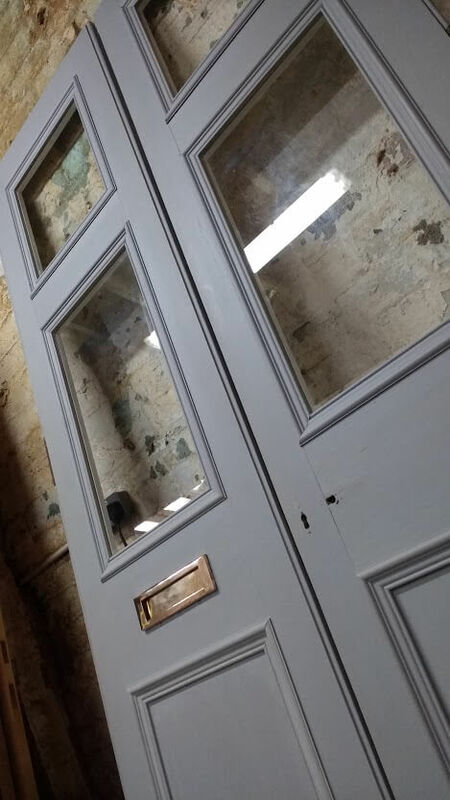 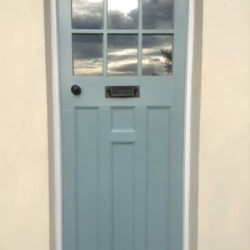 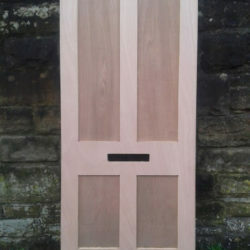 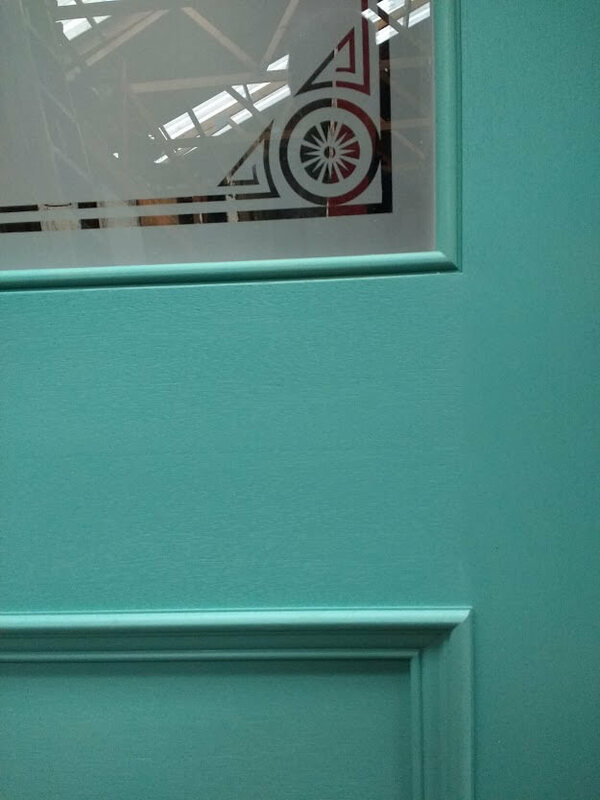 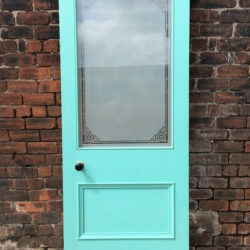 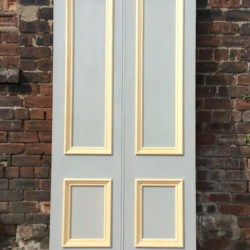 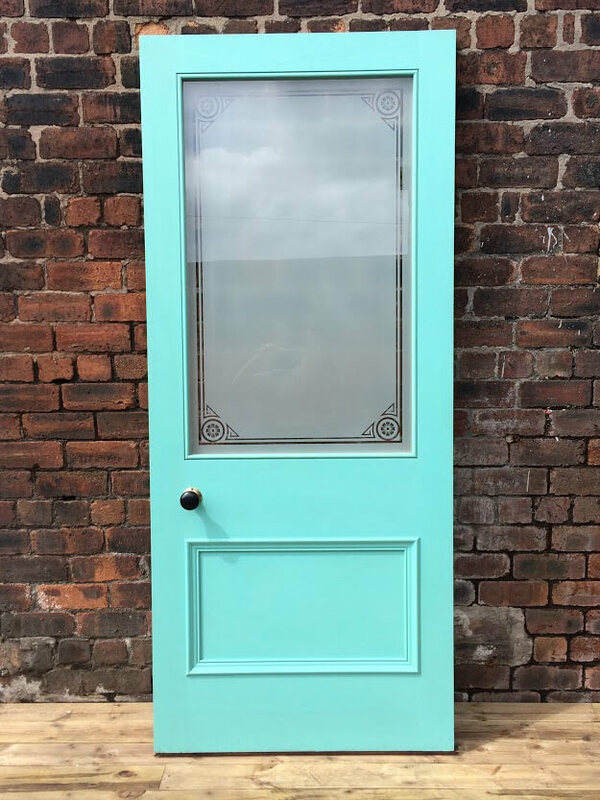 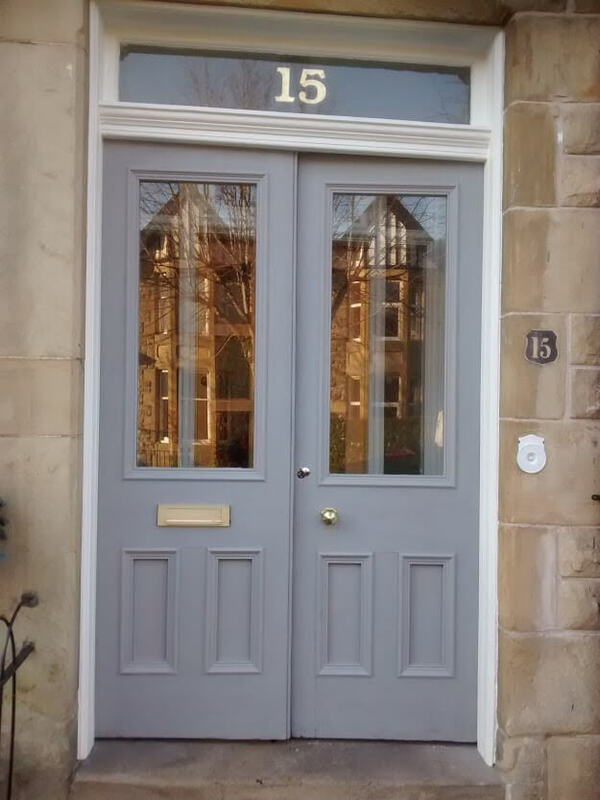 Original period front doors in good condition are always difficult to source and that is why we manufacture , to custom size, traditional Vestibule & Storm Doors typical of the Victorian era. 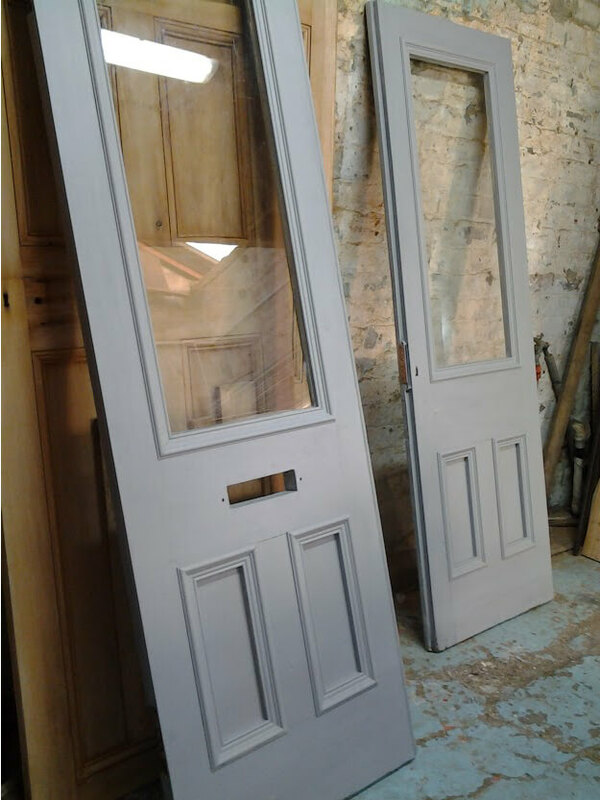 Our custom made Vestibule & Storm Doors are carefully made to the size and style of your choice with the same proportion and style of an original period door and come supplied with a choice of traditional style handle. 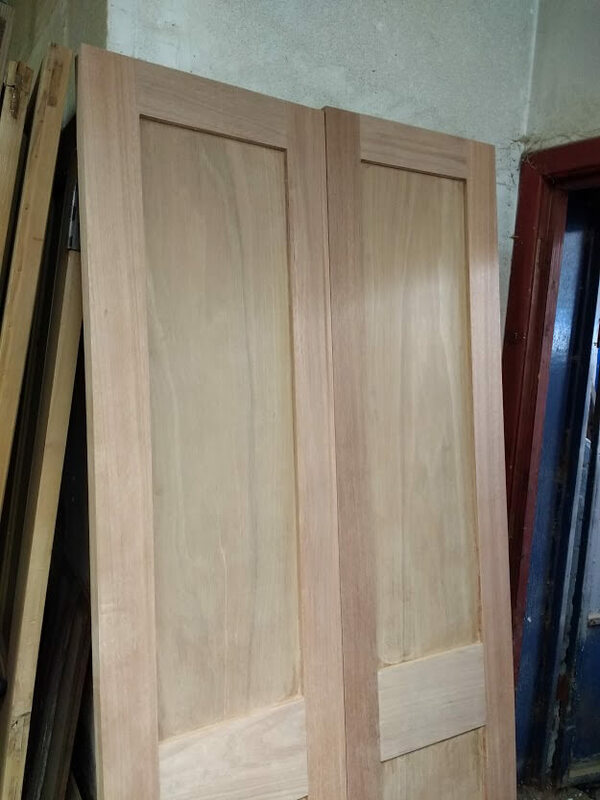 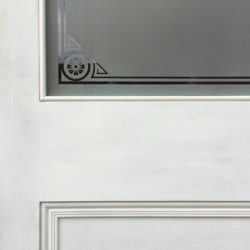 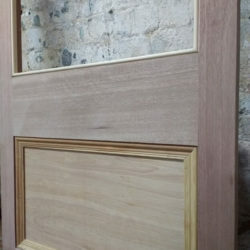 Our Vestibule & Storm Doors are made of a Meranti Hardwood and are finished with a traditional pine moulding. 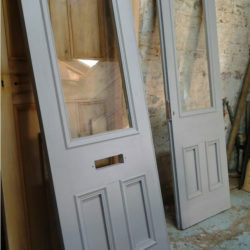 The doors are then supplied with an exterior undercoat ready for painting. 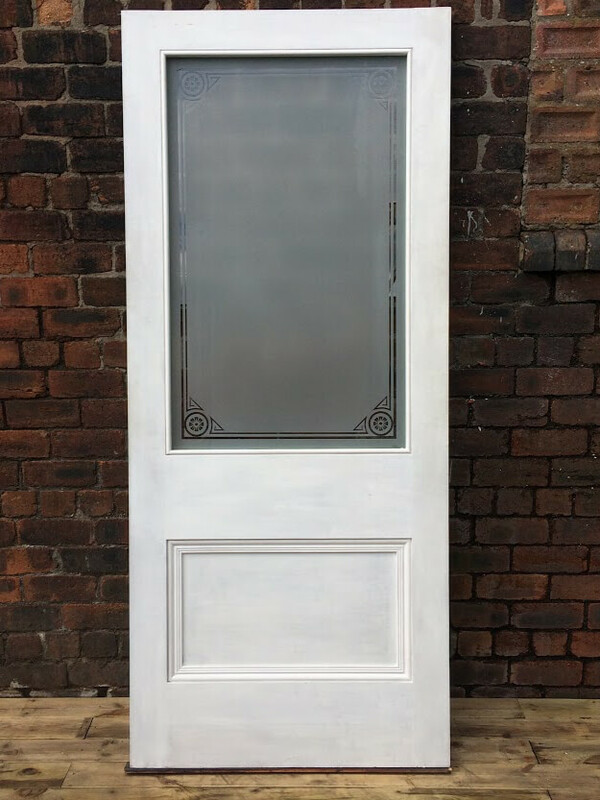 With the Vestibule Door you can also choose the decorative design of the glazed section which is made from 6.4 mm sandblasted and laminated glass giving added security and safety. 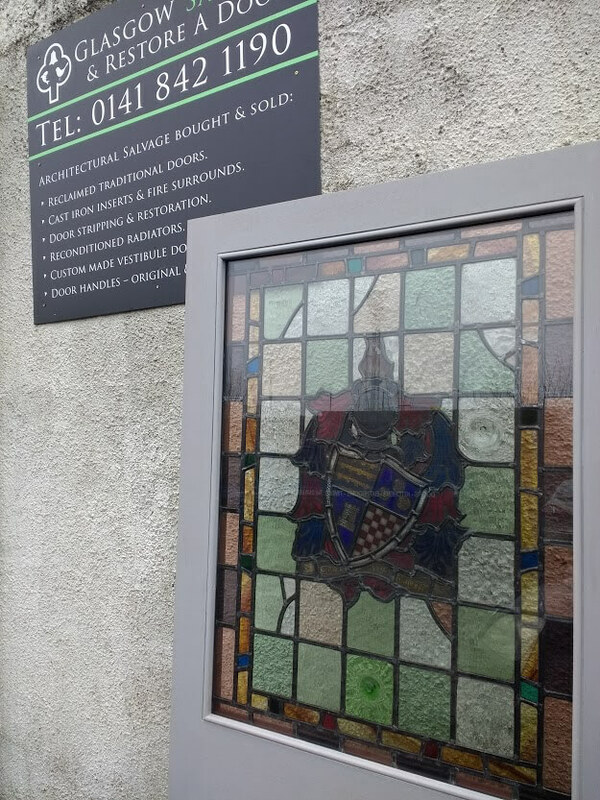 We are more than happy to speak to you on the phone to discuss your requirements , and you can contact us anytime on 0141 842 1190. 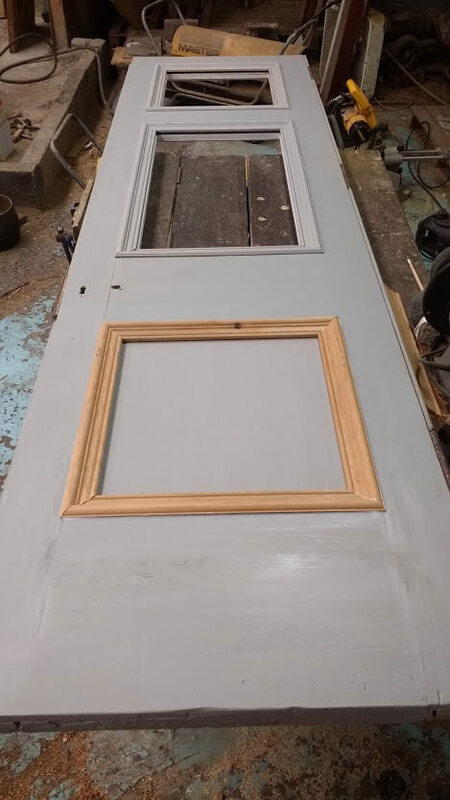 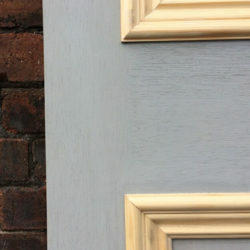 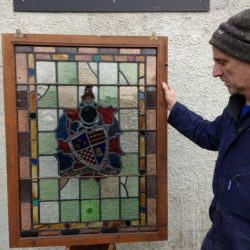 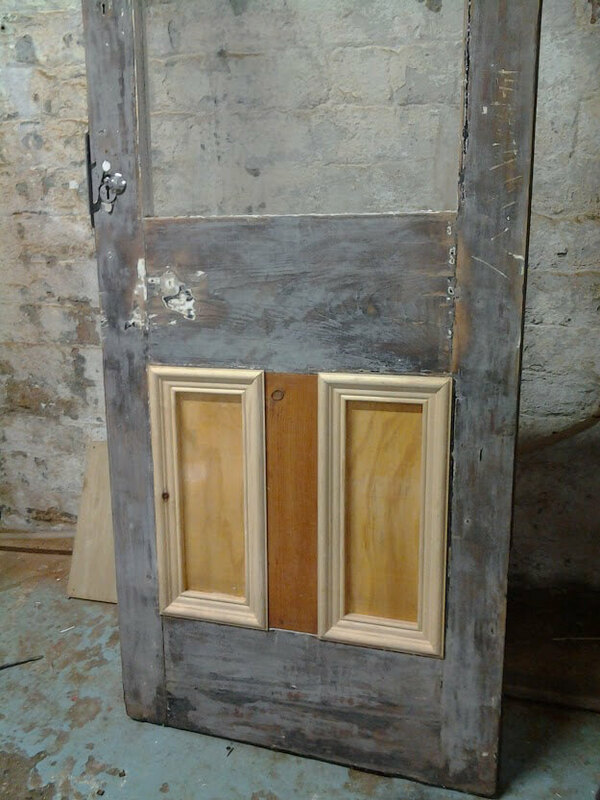 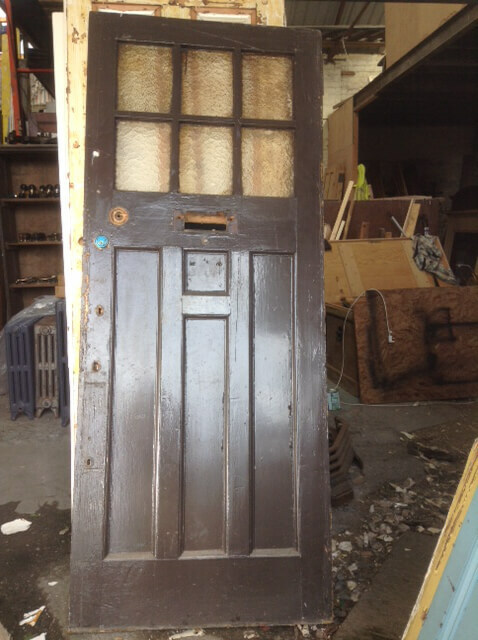 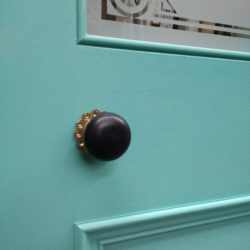 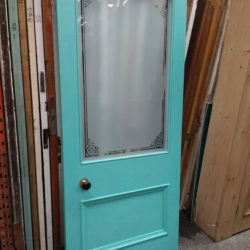 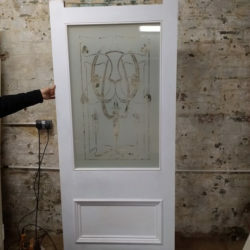 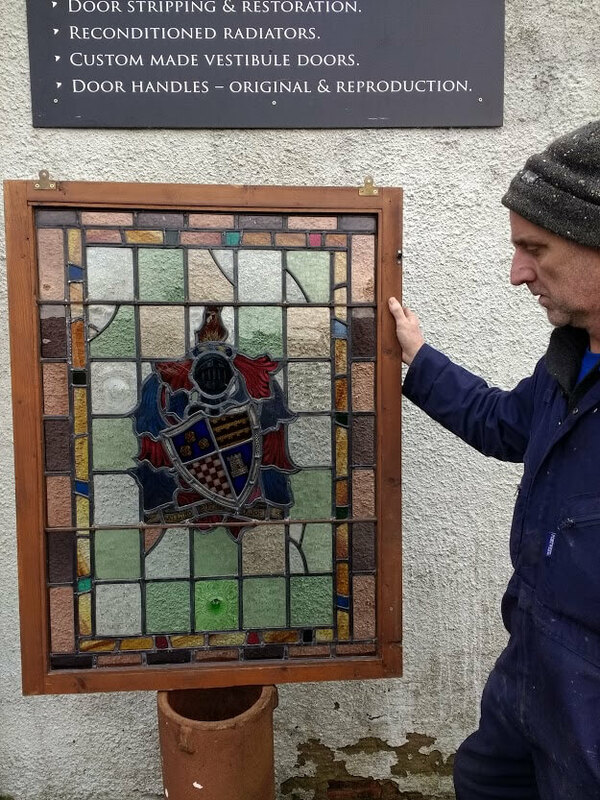 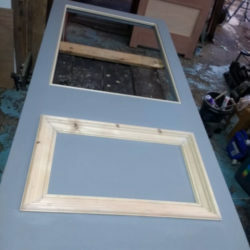 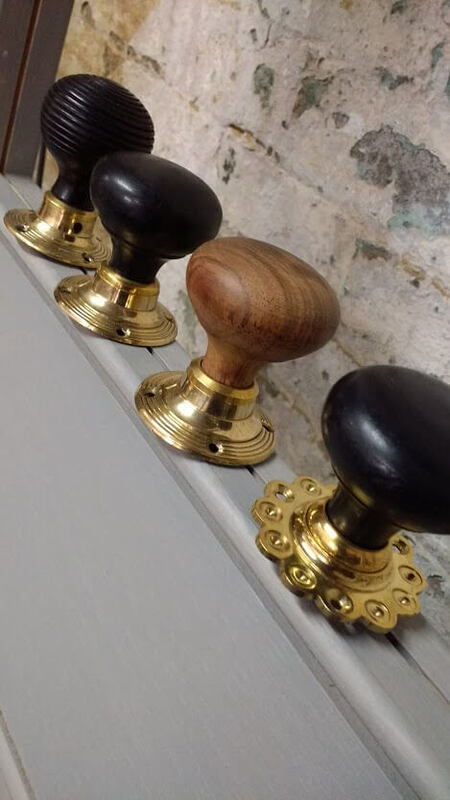 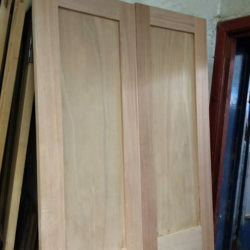 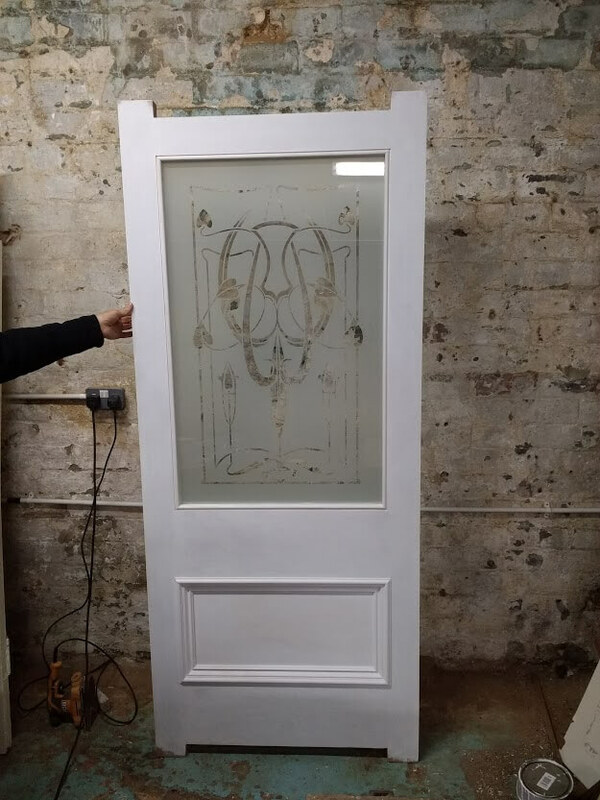 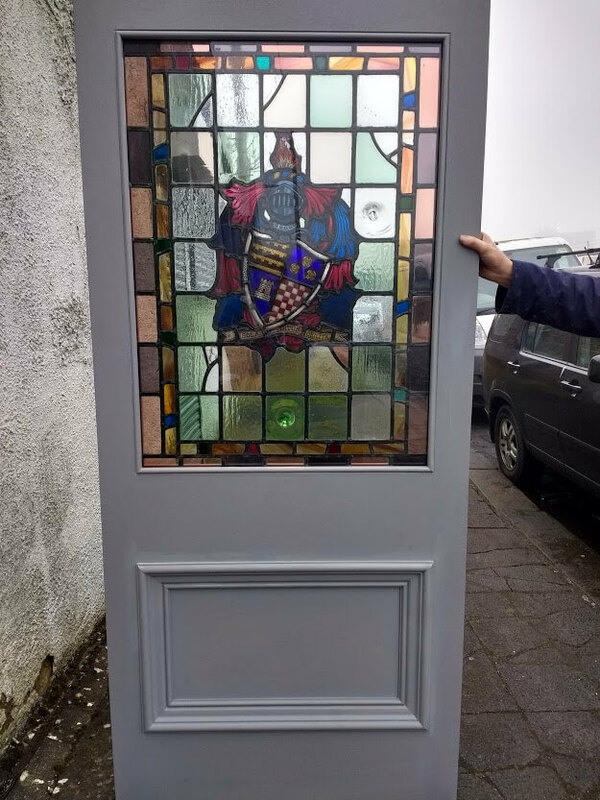 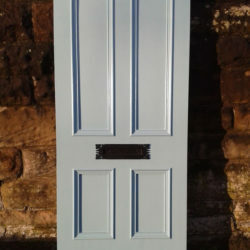 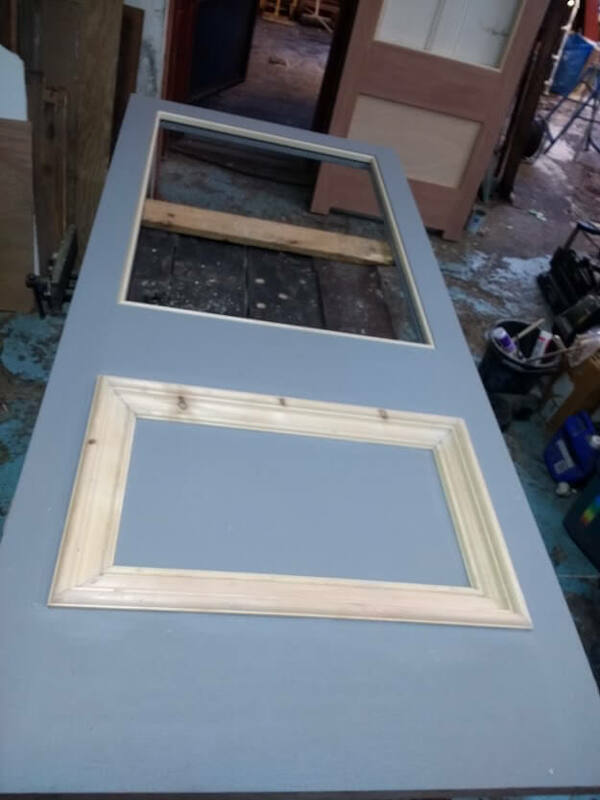 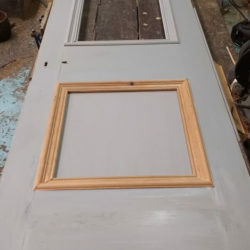 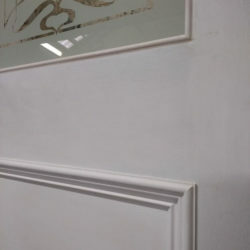 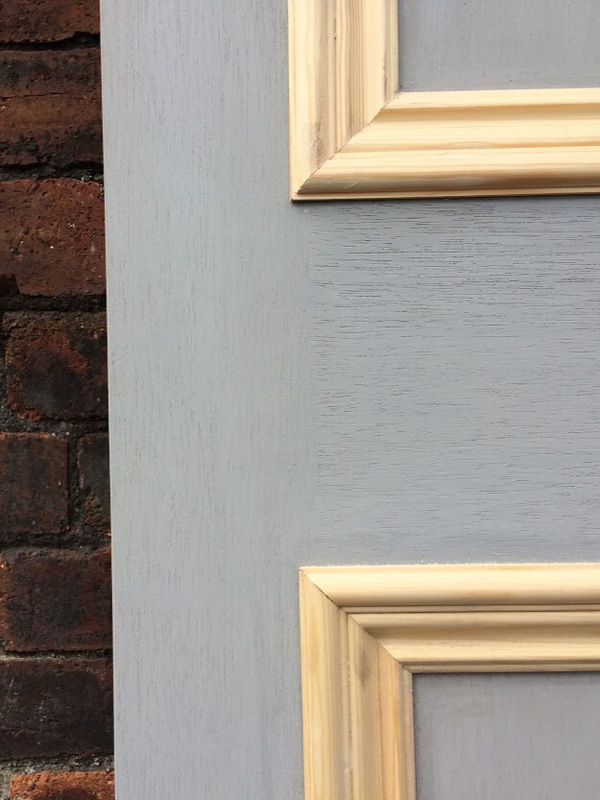 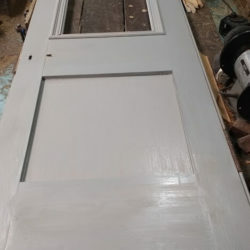 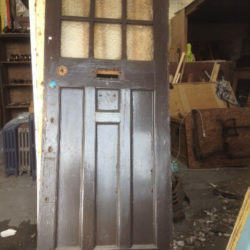 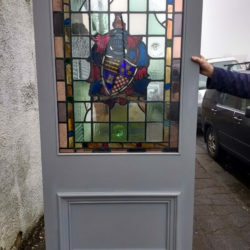 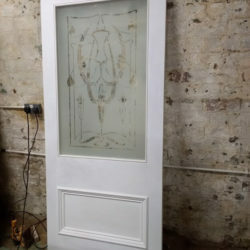 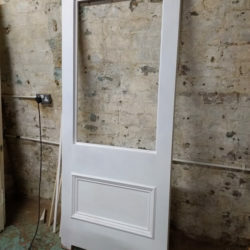 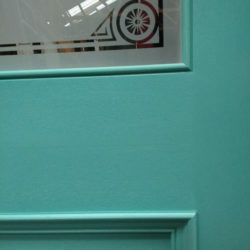 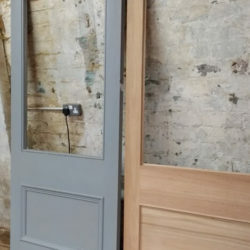 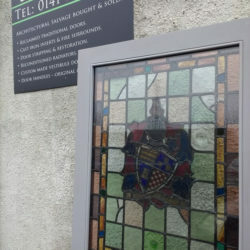 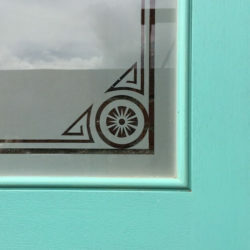 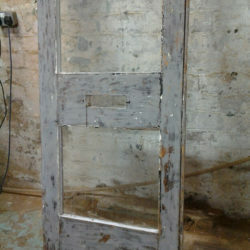 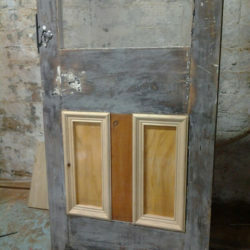 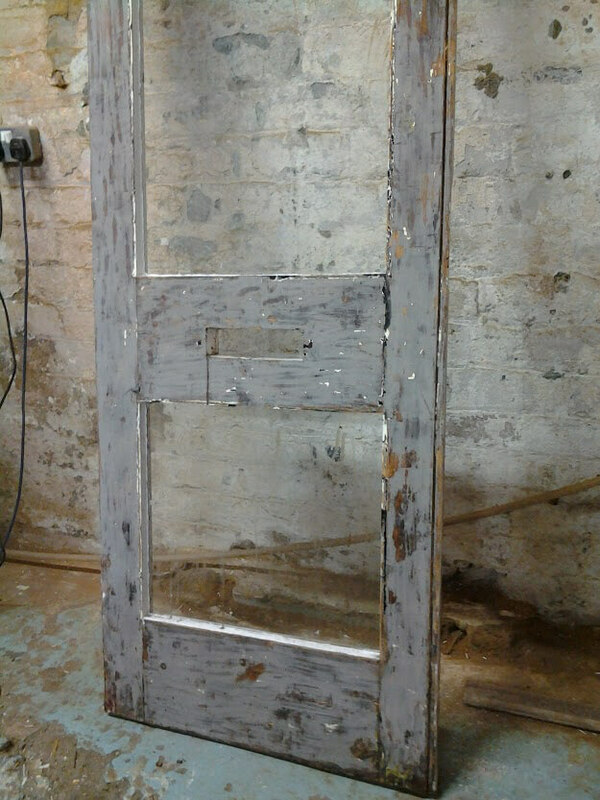 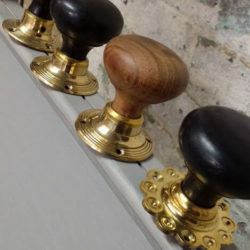 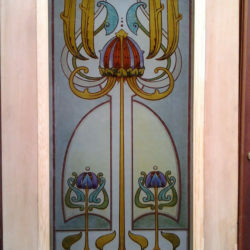 Please also have a look at our Glasgow Salvage Website where you will be able to view examples of pricing in addition to viewing other items of architectural salvage and reclaimed doors which we have available to buy.